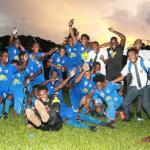 Speyside High School moved within a point of a return to the Secondary Schools Football League (SSFL) Premier Division yesterday after a late Ronaldo Samuel strike paced them to a 2-1 win over Chaguanas North Secondary in Shell/First Citizens Bank Big 5 action at the Ato Boldon Stadium in Couva. The result propelled the “Country Boys” to third place in the table with the top three team assured of promotion to the SSFL top flight. The top Big 5 schools will replace the relegated trio of Valencia Secondary, Fatima College and Bishop’s High School (Tobago). 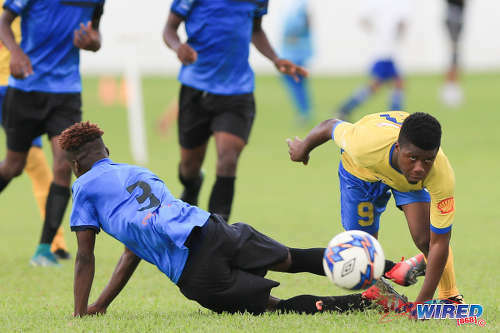 At present, Malick are already assured of a 2019 Premier Division place after amassing seven points from three matches while Pleasantville Secondary, who have four points, will join them once they avoid heavy defeats in their remaining fixtures against Malick and Chaguanas North. Speyside have four points while fourth placed Holy Cross College have three points. Both teams face each other in their final Big 5 contest in Tobago. Holy Cross will qualify for the Premier Division with a win while Speyside advance with a win or draw. Chaguanas North, who have a solitary point, have one Big 5 game left and can only qualify with a big win over Pleasantville. North (6): Queen’s Royal College, Trinity College (Moka), East Mucurapo Secondary, St Mary’s College, St Anthony’s College, Malick Secondary. South (3): Presentation College (San Fernando), Naparima College, St Benedict’s College. East (3): San Juan North Secondary, St Augustine Secondary, Trinity College East. Central (1): Carapichaima East Secondary. 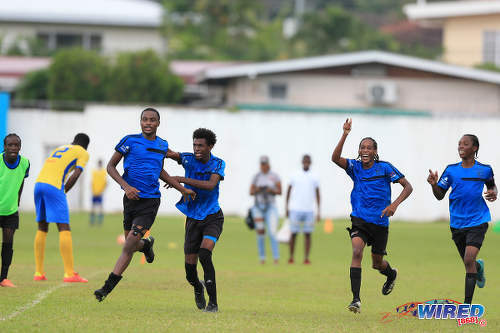 Photo: Malick Secondary forward Nicholas Roach (far left) celebrates his goal against Speyside High School during Big 5 action at Serpentine Road on 30 October 2018. 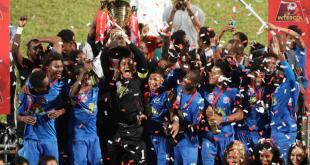 The Coca Cola Intercol competition kicked off yesterday with one match each in the North and South Zone. 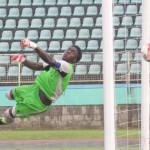 La Romaine Secondary edged Princes Town West Secondary 1-0 at the Mannie Ramjohn Stadium in Marabella, after a decisive item from Jahir Campbridge. La Romaine now advance to next week’s South Zone quarterfinals and a date with newly crowned Premier Division champions, Naparima College. 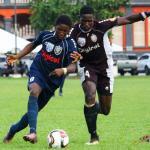 While, at the Hasely Crawford Stadium, Malick Secondary whipped Diego Martin North Secondary 3-0. The result propped Malick to the North Zone quarterfinal round and a date with East Mucurapo. Chaguanas North Secondary 1 (Anacletus Raphael 48), Speyside High 2 (DeLeon Beckles 38, Ronaldo Samuel 73) at Ato Boldon Stadium. Malick Secondary 3, Diego Martin North Secondary 0, Prelims A, Hasely Crawford.